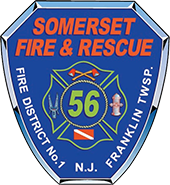 Congratulations to Somerset’s newest firefighters – Charlie Watts and Garrett Leung. Charlie and Garrett passed their final firefighter exam and are ready for action. Great work boys! !